Many North Americans say that they enjoy watching birds, feeding birds and maintaining natural areas for birds, indicating that humans do like and appreciate birds. However, urban development also needs to address issues like housing, office spaces, land shortage and recreation. This relationship between humans and birds depicts the simultaneous tension and bond between humans and nature. Bird species conservation in urban ecosystems urban landscapes is a potent issue with the exponential increase of the human population and the expanding urban settlements being built around the world. Naturally, countries with higher development rates have larger numbers of high-rise buildings and establishments that result in urban problems for birds. Moreover, this issue is more pertinent in the metropolitan cities that are densely populated and have advanced infrastructure that interferes with the flying patterns of birds. With regards to the intensity of the issue, window collisions have been the largest contributor to the death toll followed closely by factors like hunting, vehicular collisions and wind turbines. With regards to wind turbines, it is estimated that anything between 0 and 40 birds deaths per turbine per year have been recorded. Therefore, some sites cause higher death tolls than other and this depends largely on the vulnerability rates of the species. Considering that wind turbines are expected to grown greatly over the next ten years, this could add to the issue. Bird-vehicle collision mortality is also an issue with 89-340 million birds dying annually from vehicle collisions within the U.S. roads. Lastly, Canadian statistics report that power lines in urban ecosystems also cause bird deaths due to electrocutions and have cause up to 25 million deaths. For the purpose of this article, we will be narrowing our scope to the leading contributor to bird deaths which is glass window collisions, followed by the effect that wind turbines have as these two factors correlate directly to the urban architecture. The biggest issue seen as of now is the collisions with glass windows and panes. The issue with glass windows is the simple fact that they are reflective. When these windows and screens reflect greenery and the sky, birds perceive the area to be a safe space to fly into. Studies have revealed that one out of every two strikes results in death. This happens because after the collision the bird is briefly stunted and may fly off soon after. However problems like internal bleeding and bruising will occur later causing their eventual death. Moreover, this issue is also seen in the night as during this time the birds collide into windows that they may not see or they will often be attracted to the light emitted from the windows. In an attempt to pursue the environment seen inside the building, they will have fatal collisions. In the United States alone there have been up to 1 billion bird deaths annually and this issue is seen worldwide where the toll is up to several billions. In North America, 100 of the Audubon Watchlist species, and 110 vulnerable common bird species are frequently found in urban areas. The susceptible species are also exposed to urban architecture that they have a chance of colliding with. The problem has started from as early the 18th century with the first rise of European colonization and communities. Although the conservation issues seen during the industrial revolution were relatively small and manageable, the exploitation of fossil fuel resources resulted in exponential increase of low-rise and high-rise developments. The sheer number of glass windows and reflect surfaces on buildings has resulted in a staggeringly high death toll. The magnitude of these death tolls simply means that bird species populations are severely decreasing and species that are already in danger or scarce, will be have a higher chance of extinction. If no remedial action is to be taken, the quality of the environment will decrease due to a lack of species diversity around us, food chain systems will be affected and disease outbreaks will be more frequent. Therefore, it is not just the birds affected by the urban architecture, but humans and all other species will be greatly affected as well. Urban building structure is a key component of preserving bird populations that are living in urban areas. This is a necessity to ensure that the birds can live safely in the city along with being able to complete their yearly migrations without being injured or confused by certain structures. In most cases the pertinent stakeholders to this issue include conservationists, building owners, commercial companies and construction companies. All parties contribute to positive and negative factors that affect the outcomes of the bird population. 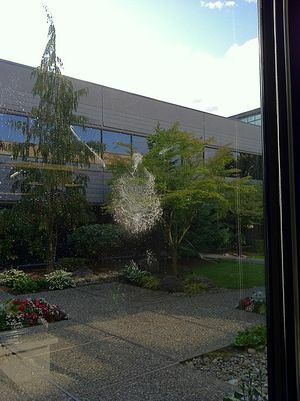 As mentioned before, windows are one the major concerns when it comes to bird deaths. The City of Toronto has about 950,000 buildings that are registered as non-safe bird buildings, which kills an estimated 9 million birds per year . This is a very high amount of birds to be killed and it presents a large issue for conservationists where it comes to protecting native species and ensuring the safety of migratory routes. There are a number of stakeholders taking part in the movement to protect birds and protect urban buildings. Construction/ furniture companies can benefit from the installation of bird safe windows as consumers are charged slightly higher prices (5% more than regular windows) to have these windows fitted into a building or home  giving them a small profit for having installed the windows. The windows come with a specific coating of fritting or ultraviolet layers that prevent birds from flying into closed windows. The windows prevent bird deaths around the building, which means less maintenance is required in disposing dead or injured birds. This gives the building of commercial companies a friendlier more attractive appearance and reduces maintenance costs. Conservationist groups such as FLAP (Fatal Light Awareness Program) Canada have had success educating society about these bird safe windows and in 2006 with the help of collaborators they made the city of Toronto adopt the first guidelines to protect migratory bird species by installing these windows . The diminishing number of bird deaths throughout the Toronto area satisfied conservationists as the population was able to recover and companies were able to benefit from the production of these windows with increased profit per window. Perhaps the group that conservationist should be trying to improvise bird safe architecture is on regular home owners. Besides buildings in cities, houses in suburban areas are the most common bird killing structure around the world . 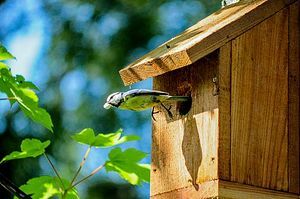 Houses are often located very close to the habitats that birds live in and often many objects placed around the house present a significant danger to them. Many of these objects are general decorations for houses such as large windows and having trees, shrubs and bird feeders. These are identified as risk factors and that can lead to many bird deaths. Conservationists are struggling to educate homeowners about the dangers of objects on or around the house. One of the largest barriers to education of homeowners is that there are a wide array of objects in and around the home that could endanger birds and finding relevant avenues to share information are few less. Conservationists are advertising bird safety tips and information on websites and television to get the message out into communities. However, the educational information conservationists are providing can have its limitations. 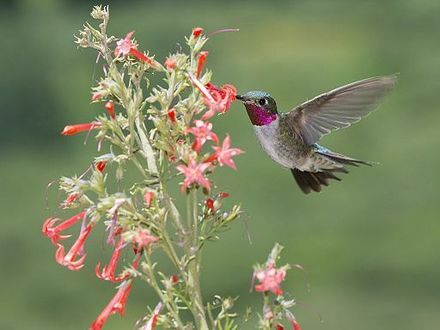 Because birds are important to the balance of ecosystems due to their role at the trophic level, they assist some plant species in pollination and the spreading of seeds . Without the assistance of birds, backyard gardens or forests could degrade without the birds present in the ecosystem. These birds consume insects that feed on vegetation and the capacity of plants to reproduce will be diminished. This could cause the property that people are living on to become less desirable because it is the plants and animals that bring natural beauty and support the productive potential of gardens and forests. The loss of bird populations is evident in human infrastructure. Human induced causes include habitat alterations, urban influenced non-native predators, and direct habitat disturbances . Collisions with windows on buildings is a direct population decreasing cause. It is one of the main causes of human-related bird deaths in North America during migration season . In the eight-month study done by Cavers, Chien, Leung, and Nam (2015), bird-collision data in the UBC Vancouver campus was examined to evaluate the intensity of the situation. The ten buildings chosen to be evaluated for the study were highly covered in glass and five of them had greater than five window collisions in the eight months. 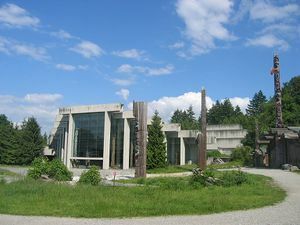 The building with greatest bird collisions was the Museum of Anthropology. Vancouver forests have gone through substantial urban development. According to analysis of Landsat imagery of Vancouver, about 87% of the local forest has been replaced with urbanized area which resulted in lower bird abundance . Urbanization in prior forest area gets rid of vegetation. Ideal locations for birds are spots with large and open vicinity. In the study by Butler (1992), different bird species were studied to determine the measures needed to sustain the birds in Boundary Bay, British Columbia. Agricultural lands in the Delta area and the river drainages in Surrey should remain as Agricultural Land Reserve. Plenty hectares of farmland were needed for the different species living in the area. Urbanizing these reserved areas would cause severe degradation in the abundance of bird species. Another architectural issue involves the power poles that are found in urban areas. The wildlife rescue group Orphaned Wildlife Rehabilitation Society alerted people that numerous incidents of bald eagle electrocutions were occurring. Declining bald eagle populations was partially because they were perching on these power poles mistaking them as trees. There are not enough trees for the bald eagles to perch in so they choose the next best option: very tall poles which let them observe everything in the area. By 2030, approximately 61% of the world population will be living in urban cities  which means drastic urbanization over bird habitats. There are pros and cons to designing architecture that aids bird conservation. Bird conservation can be very simple and affordable by avoiding one of the most common way for the death of birds. A cost-effective method of protecting birds is by making glass visible to birds by adding nets or patterns that cover at least 5% of the area on the window . By incorporating this simple adjustment on building and residential windows, birds will be able to distinguish the incoming window and avoid the obstruction. Bird abundance will be sustained more substantially if it gets applied to all architectural designs. A negative outcome of city urbanization towards bird conservation is the adaptation that varying species will face in the process. Many species of birds are effectively able to acclimatize to city environments such as crows, pigeons, and vultures. On the other hand, there are several species which inhabit areas that would cause decline in their abundance if urbanization occurred – an example of this is a sparrow. 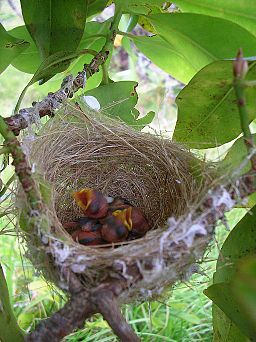 Food abundance did not influence nest site-selection of birds as much as the factor of surrounding predators in Smith’s study (2001). Site-selection is strongly dependent on avoiding predators that can attack their nest. Birds choose spots that are inaccessible to their predators or where they can stay camouflaged in their surroundings. This approach becomes more difficult to do in urban areas because birds are forced to nest near humans . Nesting will occur in windowsills, doors, and lights – which is not ideal for humans or birds. As wind energy becomes used more in North America, the mortality of birds grows too. Wind turbines have negative effects on bird populations causing approximately 300,000 bird deaths annually . Taller wind turbines have higher rates of bird deaths and this can be an issue because the taller wind turbines provide more energy. There is a positive effect associated with the wind turbines as well because it reduces the global threat of climate change. Although this alternative source for energy is a great cause for rising bird deaths, there is a significant improvement in reducing the damage of greenhouse gases to the atmosphere. This will be better in long term for the world as a whole, but problematic for bird conservation in the short term. With a consistently growing population, our interactions with birds will continue to increase. In order to ensure that these interactions are not harmful towards birds there are a few remedial actions we can take. These actions need to be looked at from a technical, political, legal, financial and social point of view. The issue that poses the biggest threat to the bird population is collisions with windows. Home and business owners can work to make their windows less of a hazard by creating ‘visual noise’, which shows the birds that it’s not safe to fly there. They can do that by striping their windows with tape that stands out well in its background, installing an external film or covering, using glass for windows that reflect UV, installing screens to reduce reflection and applying shading around windows to reduce glare. For home and small business owners, creating bird-safe windows is relatively inexpensive, but for big corporations, it is very costly due to the amount of windows that big corporations have compared to home and small business owners. Suggested action for governments is for them to implement an act that regulates bird safety in North America. Creating a law that required industries and homeowners to make their windows safe for birds would compel them to make a change. Birds struggle with habitat fragmentation and buildings in the city. City planners can plan a city’s population and building growth to aid birds. They can work on zoning the business and residential areas to create a city that is minimally fragmented. Also, they can create urban pathways through buildings that guide birds through the city in the least harmful direction. Architects are able to create buildings that encourage birds to nest on them. Older buildings provide better opportunities for birds to nest as there are places underneath the roofs for them to nest. More modern buildings are built more energy efficient and effectively block out birds. Architects can put together some of the key aspects that made older buildings so easy for birds to nest in such as - overhanging roofs, and modern energy efficient ideas together. This can make birds that nest on new buildings looked at as an effective way of allowing birds entry into our urban ecosystem, rather than a hassle.The governments in North America can implement acts that require corporations, home and small business owners to make their windows bird-safe. City planners and architects can work together to decline fragmentation rates and increase bird habitats in the city, effectively meshing our otherwise clashing ecosystems together. But the most realistic remedial action would be to use cost effective methods to create bird-safe windows on buildings and houses - such as striping windows with tape that stands out well in its background. Building and Homeowners can use current market products like nets and screens which are often made from fiberglass or polypropylene and come with grid details which make increase visibility of windows. Films made from anti reflective polyester or vinyl can also be applied to windows to increase visibility. Furthermore, visibility can be improved by using decals, paints, tape and also UV Technology which coats glass in reflective ultraviolet light. Moreover, building owners and homeowner need a high degree of education when it comes bird conservation. As mentioned previously, organizations such as FLAP (Fatal Light Awareness Program) have been extremely successful in spreading awareness about this issue. They have developed resources like articles, brochures and audit programs to ensure the proper functioning of their Birdsafe program. It is important for property owners to understand that protecting their buildings from collisions is not just an inconvenient cost but it is also a method to save money over the long term (since energy is also conserved due to the protective screens), it demonstrates leadership and sets standards for the industry the company is operating within. Lastly, it will also help boost the morale of employees and individual homeowners as they will actively be a part of protecting important bird species. Moreover there are several guidelines and services available that will help protect the birds after the event of a collision. For instance, Wildlife Rescue Association of BC and AAA Wildlife control will come and collect the injured birds after a collision and provide them with the proper course of treatments. If access to such organizations is not available, then websites like allaboutbirds give detailed instructions on how to care for the birds, feed the birds and medically treat the birds at home with simple resources. Such information needs to be disseminated to citizens of urban populations in order to arm them with the necessary mitigation strategies. Most north american cities and states have their own standards when it comes to building bird safe buildings. San Francisco for instance, has varied standards depending on how hazardous the location and structure of a building is, they provide a checklist of parameters to educate future building/ home owners about potential hazards and have voluntary programs regarding bird-safe practices. City of Toronto, on the other hand partners with wildlife, architectural and development firms to set a series of bird-friendly development guidelines. Their guidelines address the design based alterations that need to be made and they detailed information on creating ways to create visual markers and methods to mute reflections. They even go on to giving information about the appropriate light fixtures so that birds won’t be attracted to light sources. Lastly, they also specify how building operations can be managed to aid in conservation efforts. Therefore, the first step for urban planners and architects would be to access their local repository of information and aid in order to decide how conservation based design can be integrated into their designs. Furthermore, planners must take into account the location and the surrounding ecosystem in terms of the species and migratory patterns. If buildings are places in less vulnerable areas, the need for excessive mitigation will be reduced. Lastly, it important for urban planners to understand the cost savings effects that sustainable designs will have in the long term. Given the way most cities and countries are altering their laws to comply with environmental disasters, it will soon be a necessity to implement safety checks. Staying ahead of the curve and planning for change in law and regulation policing would be wise. As of now the government of Canada has a Migratory Birds Convention Act which is based on a convention that aims to protect migratory birds – as a population and as individuals – throughout Canada and United States (reference 1). Similar acts regarding urban architecture and regulations surrounding reflective windows could help prevent this issue. Standardized law and policy would give corporate industries and homeowners a larger incentive to implement protective measures. Governments are not directly causing decline of bird population, but they have a crucial role on the policies that protect species. Developers in nations are accountable for planning according to the rules written in the legislation. During the construction of buildings and residences in urban areas, the issue of contaminants polluting water arises. Due the act, it prevents harmful pollution in waters that affect migrating birds. Prohibition of harmful substances in water also involves the deposit of various substances which chemically combine to result in another harmful substance. The government can locally implement restoration projects that can result in improved connectivity of habitats along parks. Biodiversity will be kept safe if parks, community gardens, and even street trees are encouraged. National parks are effective to keep birds in their regular undisturbed habitats. Government policies to keep a percentage of land as park space is crucial for sustained bird species so their habitats do not get over-run by urbanization. In areas that have already been urbanized, it is effective to provide a bird friendly landscape by providing nesting spots and food. Landscaping directed towards birds is done by planting trees that attract birds, avoiding invasive species, and keeping structures that are used by birds such as bird houses and barns. Viewed through the lens of other disciplines and professions, what other actors become relevant when considering solutions to address challenges associated with urban architecture and avian conservation? What special expertise, resources, or theoretical orientations might others bring to help us better mitigate challenges associated with urban architectures' impact on avian conservation? As is seen through this article, the issue of bird conservation stems from excessive buildings and urban developments. The leading risk factors to the safety of birds is the collision of birds into glass windows, followed by wind turbines and power lines. The issue of glass windows is one that is easily resolved however implementing the right policies and standards is a necessity as most individuals and organizations are not motivated to bring about the change independently. 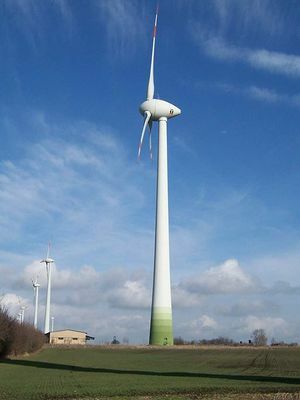 Furthermore, proper planning and assessment is necessary to evaluate the location and development needs of objects like wind turbines and power lines. These obstructions can be safeguarded quite simply and be routed/ located in areas that reduce the chance of fatal bird accidents. Governments pass laws and it is required for urban planners to follow the legislation to avoid breaking any guidelines. For the issue of bird conservation, the solutions to the declining population can be fixed at the choices made by decision makers. Urbanization has created many problems for bird species because not all can acclimate to the altered surroundings. If urban planners and lawmakers designed cities while keeping birds in mind, they would not have to adapt to the hazards that they might face in urbanized surroundings. Our proposal is twofold, it covers policy administration and awareness programs. All urban and developed cities must have guidelines on how to make buildings bird-safe, furthermore these guidelines should be entrenched in law in order to persuade citizens to abide by the law. Similar to zoning and traffic regulations, design policy must also be made compulsory. Our second proposition is to spread awareness about the necessity and urgent need for saving birds. This can be done through utilizing local resources and organizations involved in the sustainability sector. Both these aspects are equally important in order to ensure a future of safety for the bird species around the world. ↑ Smith, P.A. (2001). Factors Affecting Nest Site Selection and Reproductive Success of Tundra Nesting Shorebirds, pg.15-17. University of British Columbia. <references> Smith, P.A. (2001). Factors Affecting Nest Site Selection and Reproductive Success of Tundra Nesting Shorebirds, pg.15-17. University of British Columbia.